Jakarta (AFP) - The death toll in the Jakarta extremist attack has risen to eight, including four civilian victims and four militants, after a wounded Indonesian bystander died overnight, police said Sunday. 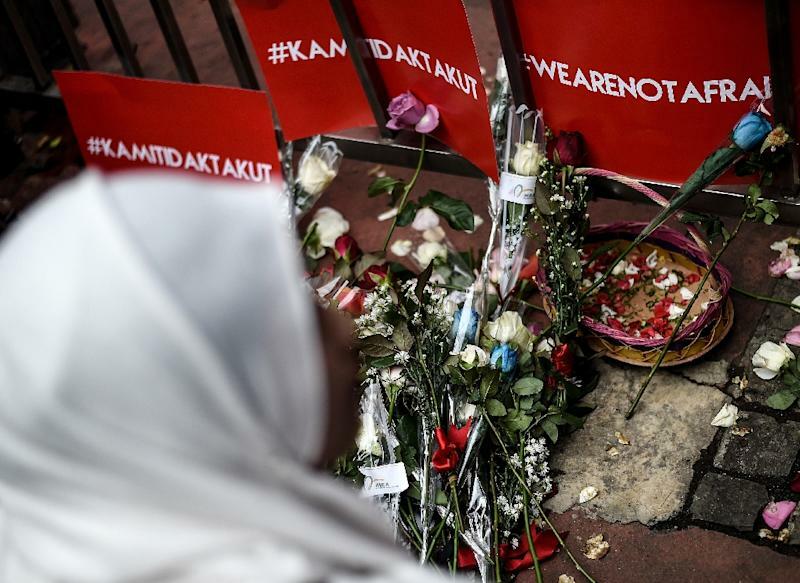 Police had earlier put the toll of victims from Thursday's assault at two, but raised it with the latest death and confirmation that an Indonesian man originally suspected of being a militant was actually a civilian. The coordinated bomb and gun attack along the capital's central thoroughfare has been claimed by the Islamic State (IS) group. Indonesian authorities blame it on an IS faction made up primarily of Malay-speaking Indonesians and Malaysians involved in the extremist group's ruthless fight for a self-proclaimed caliphate in Syria and Iraq. The Jakarta attack also left two dozen people injured -- including some foreigners -- several of them in serious condition. "Another victim who was in a coma since the beginning died last night," Jakarta police spokesman Muhammad Iqbal told AFP, confirming the latest death. Indonesia is the world's most populous Muslim-majority country. Police said Saturday they had arrested 12 people in raids across Indonesia, including a man they believe handled financing for the Jakarta attacks, money that authorities allege came from the Islamic State group.